Three women, fighters in both life and the political arena, are the mayoral candidates of the Communist Party of Turkey (TKP) in the country's largest cities - Istanbul, Ankara and Izmir. TKP's candidates will be running for mayorships of 81 cities and 85 districts throughout Turkey in the upcoming local elections on March 31st. 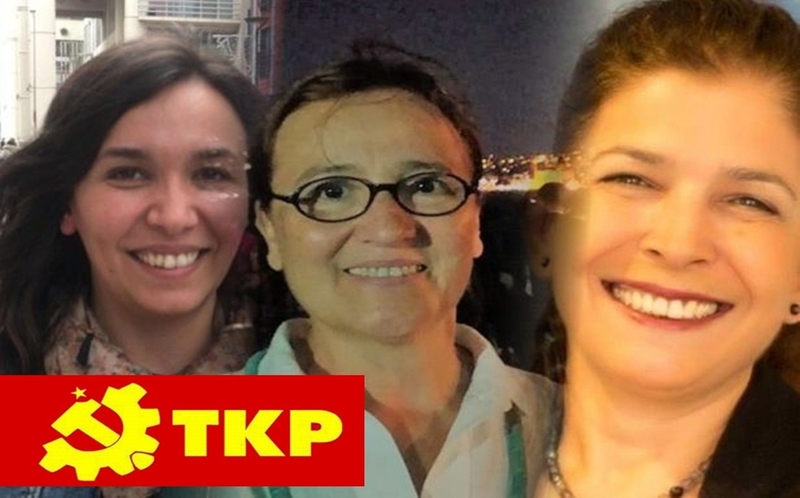 Participating in the elections with the motto "We are not in the same boat", TKP’s three women mayoral candidates talked to soL news about their candidacy and electoral campaigns to be carried. "ANKARA TO BE A CITY OF EQUALITY AND FREEDOM"
Stating that Ankara is a city which hosted seven civilizations throughout the history and has always been the capital of the republic, Fatma Korur said that she decided to be a candidate for not letting the city lose its memory anymore and to let its residents benefit from the facilities of Ankara equally and free of charge. Korur pointed out that there is a lot to be done with a local government that has no rent-seeking activities and that eliminates the officials' personal expenses from the government budget. She explained that people can benefit equally from basic rights such as transportation, water, health, and education. "ORGANIZED PEOPLE WILL DESIGNATE THE FUTURE"
"WE ARE NOT OBLIGED TO THE LESSER EVIL"
Senem Doruk İnam, who said that she is a candidate for being able to explain that no one is condemned to this order and for being the voice of people in an electoral process in which the voters have been forced to choose between right-wing politicians. "I'm a young woman, a communist, who has not given up on her country. I believe that we are not condemned to an order that produces constant evil, ignores human, glorifies money, and takes the future of young people and women's rights away from their hands", she said. İnam pointed out that TKP is the only party that represents humanity, good, and equality in the March 31st local elections. “It is the only real option against those who condemn our people to the lesser evil. That is why I am a candidate for TKP," she added.